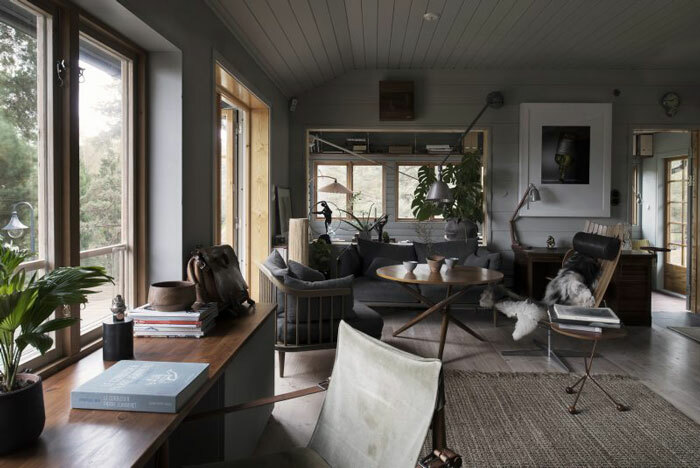 This beautiful hideaway is owned by Kalle Gustafsson, one of Sweden’s most established fashion photographers, with clients like Vogue and Paul Smith, among others. 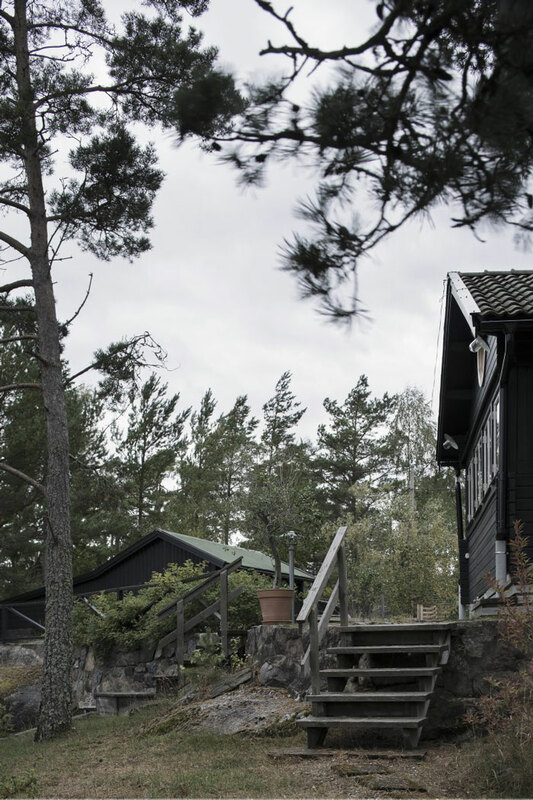 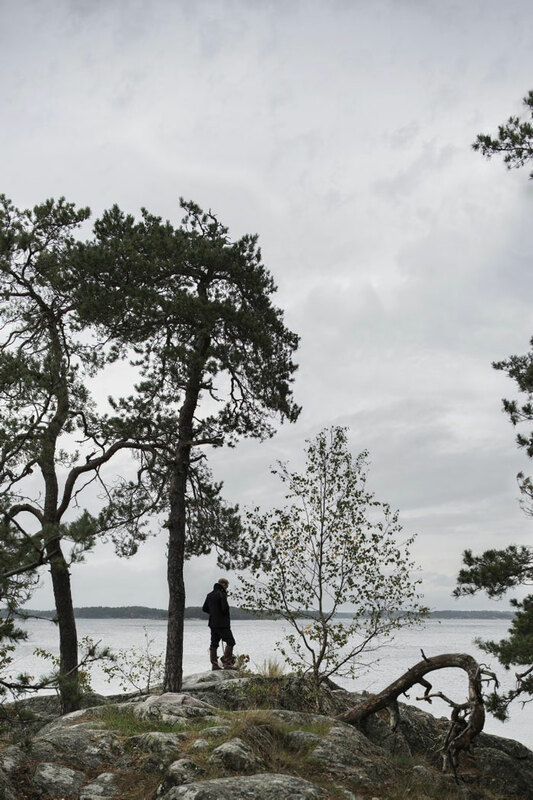 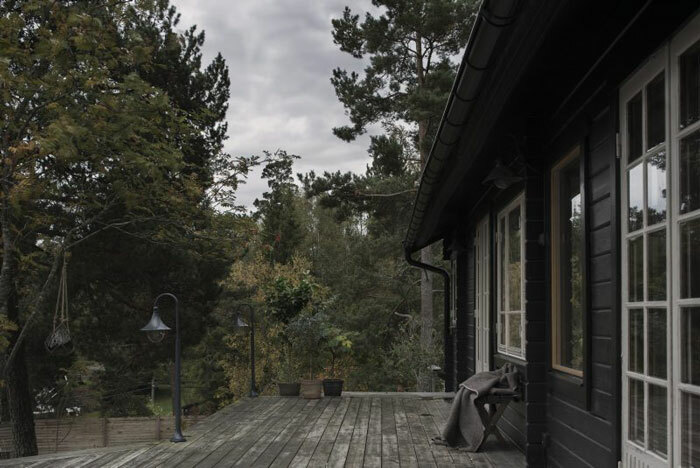 Located by the coast in Dalarö, the summerhouse is a short drive south of Stockholm. 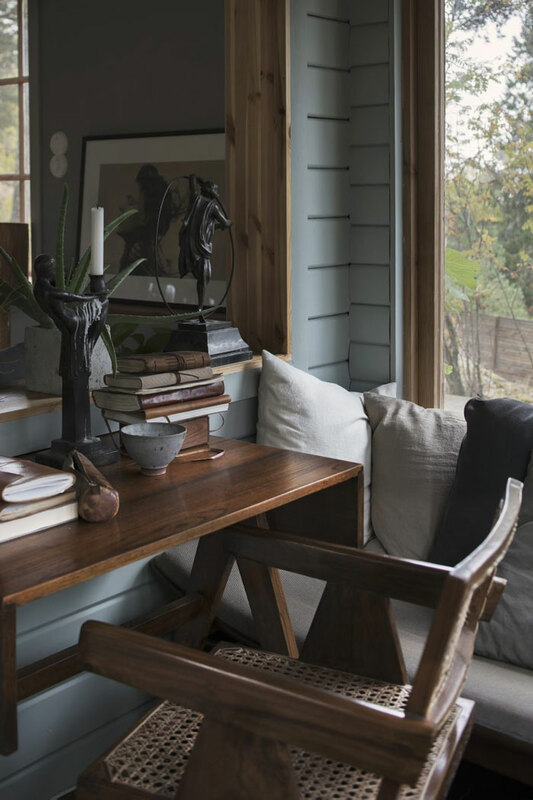 The interior is infused with nostalgia, and it is Nordic-inspired, bohemian and rustic chic all at once. 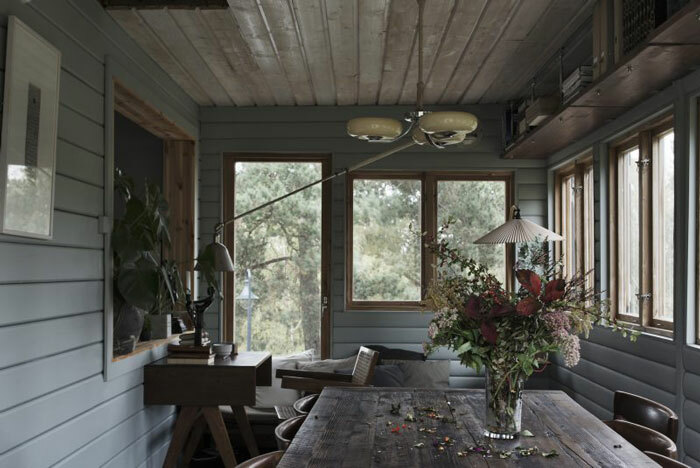 Warm and inviting, it has distinctive character, a relaxed feel and an understated elegance. 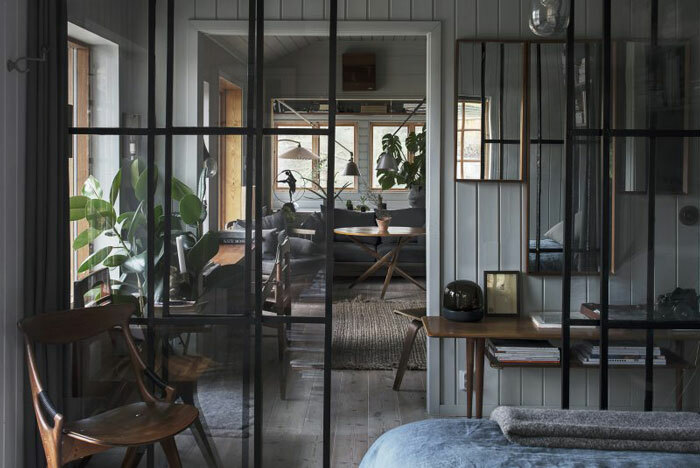 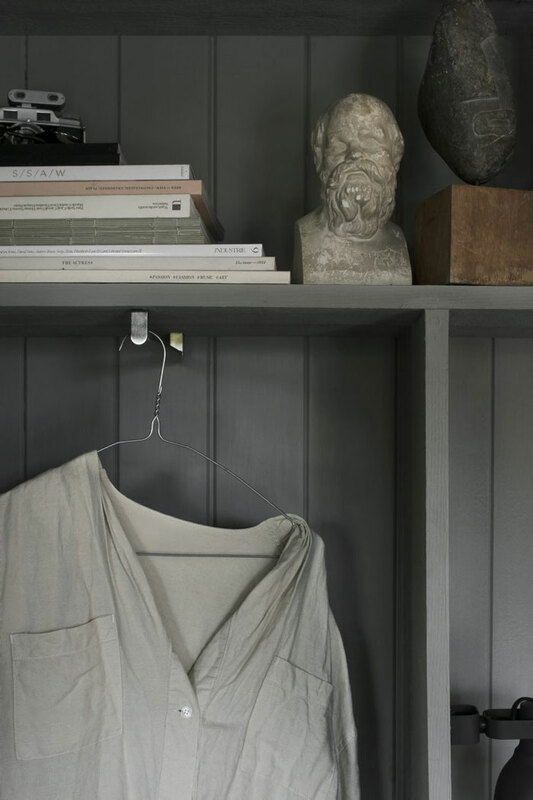 It is furnished with lots of antiques and vintage finds, mostly teak furniture from Danish designers, and a few others from Jean Prouvé and Pierre Jeanneret. 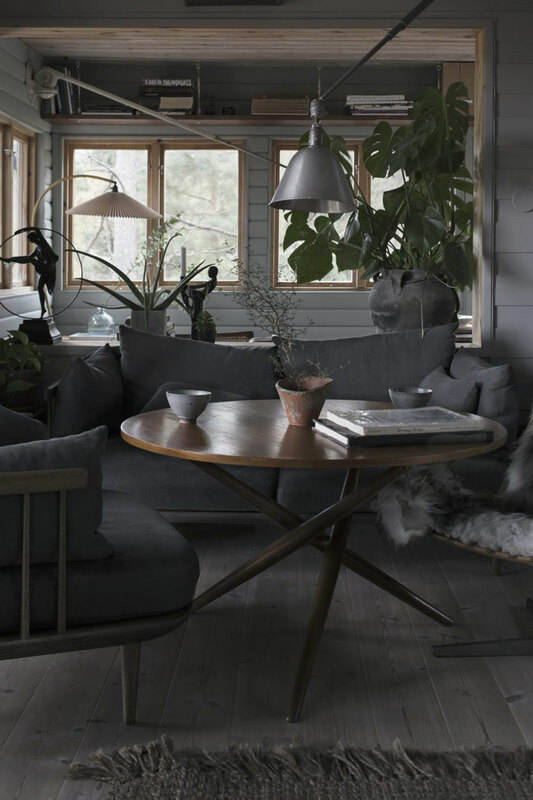 A sofa and armchair by modern design brand &Tradition blend in very well with all the mid-century pieces. 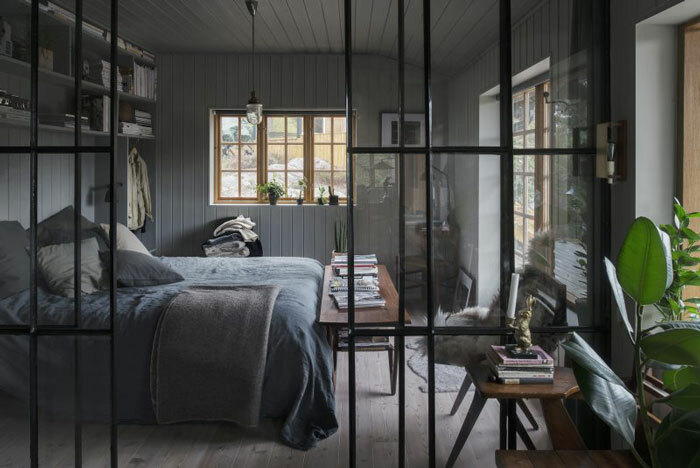 The blue and grey walls provide a fantastic backdrop to all the wooden elements, while making the place feel calm and composed.